Vilimoni Botitu aims to be a Fiji Airways Flying Fijians centre in future. 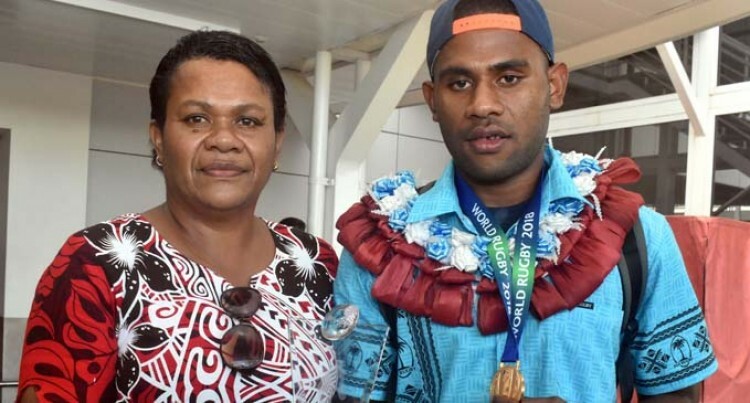 The former Natabua High School student returned with the Koli Sewabu-coached Vodafone Fijian Under-20 side after winning the World Rugby U20 Trophy in Bucharest, Romania on September 10. The Korobebe, Nadi native was named the best player of the tournament. Botitu scored two tries in the final for a total tally of four for the whole competition. The 20-year old played for Natabua High School from Under15 to the U18 grade. “I want to continue my career with Nadi after we won the Skipper Cup Premiership Under 20 title this year. He is inspired by his cousin and former Fiji 7s rep Filimoni Botitu.